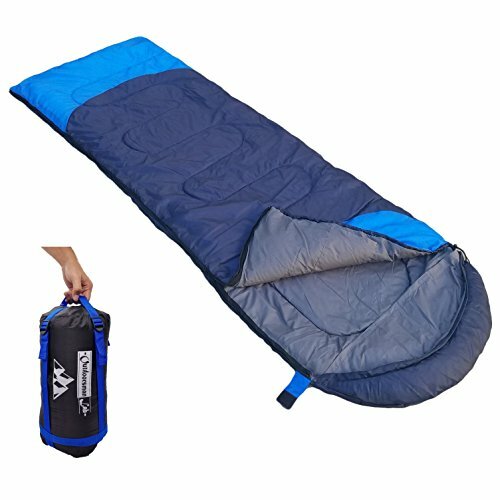 WAKE UP REFRESHED W/ THIS AMAZING LIGHTWEIGHT SLEEPING BAG – Warm and comfortable camping sleeping bag! EN 13537 tested comfort rating at 47F, lower comfort limit at 38F using high loft synthetic fill. Add an extra fleece for another 10-15F of comfort (especially for women). 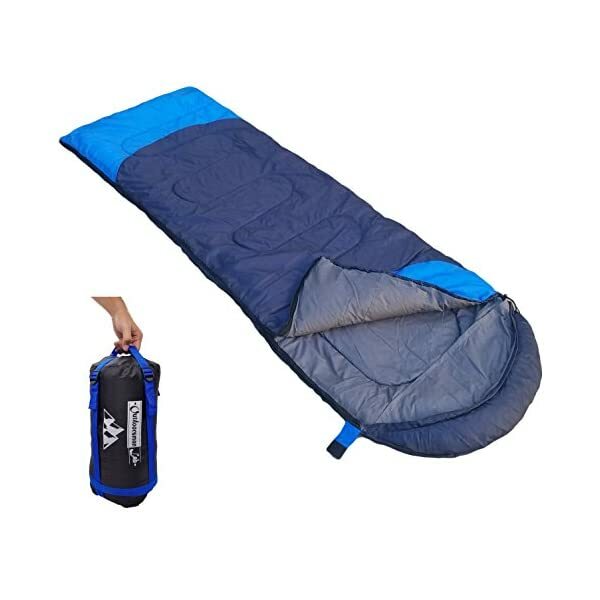 Get this camping sleeping bag and stay warm and comfortable all night! 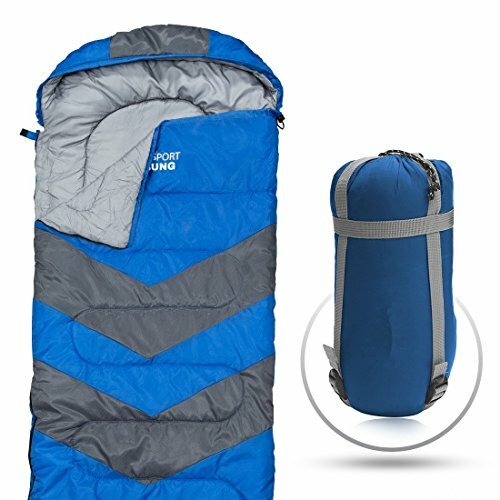 PERFECT BACKPACKING SLEEPING BAG, GREAT FOR HIKING, CAMPING, TRAVELING – Lightweight and compact. You’ll wish you found this years ago! Weights only ~3lb with an impressive pack size of 15″ by 6.5″ that can be further compressed to save space. 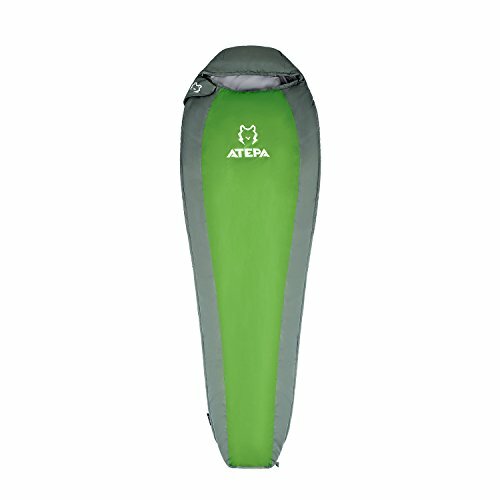 INNOVATIVE FEATURES- UPGRADED ZIPPER SYSTEM with separated bottom zipper let you stick your feet out. 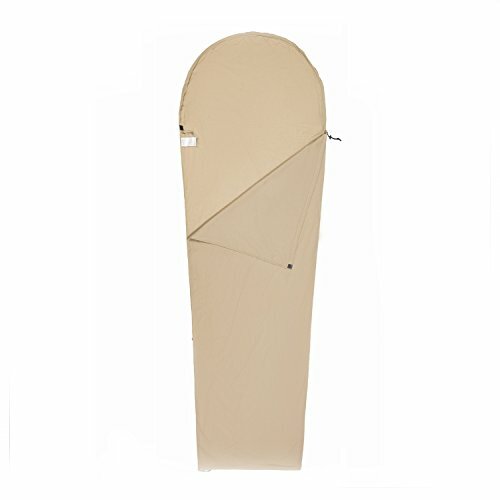 Anti-snag layers throughout the sleeping bag for the best user experience. Integrated pillowcase that is super soft and comfortable, and backside strap so you stay on your pad all night! SOFT ON YOUR SKIN, TOUGH ON TEAR & WATER – Backed by a lifetime warranty. 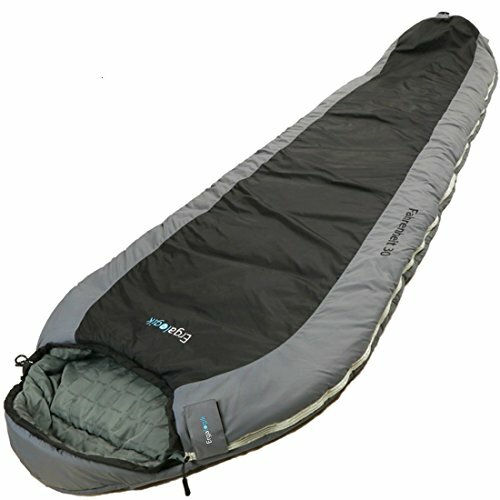 This sleeping bag is made to last with a durable water-resistant shell and soft super quick dry lining to keep you warm even in extreme conditions. LIFETIME WARRANTY AND 90 DAYS RISK-FREE TRIAL! We back our product for LIFE with the very best customer service . Contact us for any issue and we will get back to you in 24 hours. Still not sure? Try it risk-free for 90 days! Contact us within 90 days and get you money back if you don’t like it. Yes, we are that confident that you will love your new sleeping bag from OutdoorsmanLab!